Dried whole bing cherries smothered in luscious 72% bittersweet chocolate. A treat bursting with flavor. 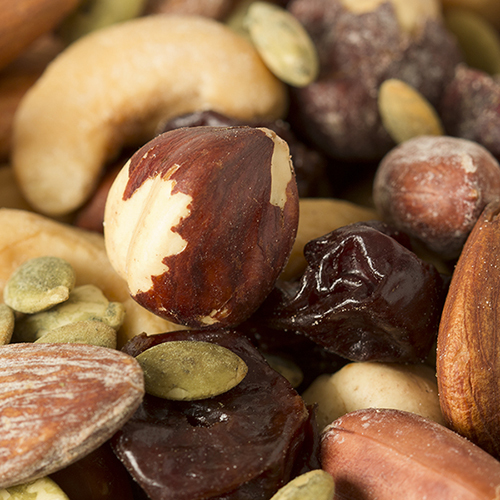 *This product is processed/packaged in a facility that processes tree nuts, peanuts, wheat, dairy and soy products. NUTRITION FACTS: Serv. Size: About 1/4 cup (40g). Servings: About 6. Amount Per Serving: Calories 170, Fat Cal. 100, Total Fat 11g (17% DV), Sat. Fat 6g (32% DV), Trans Fat 0g, Cholest. 0mg (0% DV), Sodium 5mg (0% DV), Total Carb. 23g (8% DV), Dietary Fiber 4g (16% DV), Sugars 16g, Protein 3g, Calcium (2% DV), Iron (8% DV). Not a significant source Vitamin A or Vitamin C. Percent Daily Values (DV) are based on a 2,000 calorie diet. 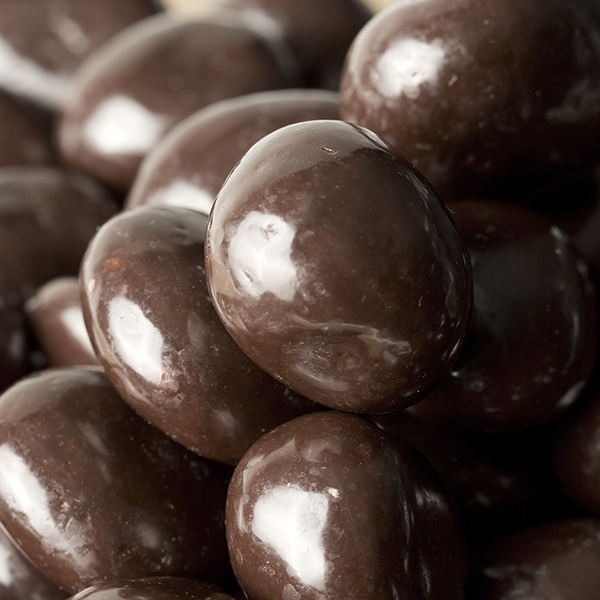 INGREDIENTS: EXTRA BITTERSWEET CHOCOLATE [CONTAINS: CHOCOLATE LIQUOR, SUGAR, SOY LECITHIN (AN EMULSIFIER) AND PURE VANILLA], DRIED WHOLE BING CHERRIES (WITH 1% SUNFLOWER OIL), CONFECTIONER'S GLAZE, GUM ARABIC. REAL CHOCOLATE !! WITH REL CHERRIES !! I liked the size of the package and look forward to giving it. 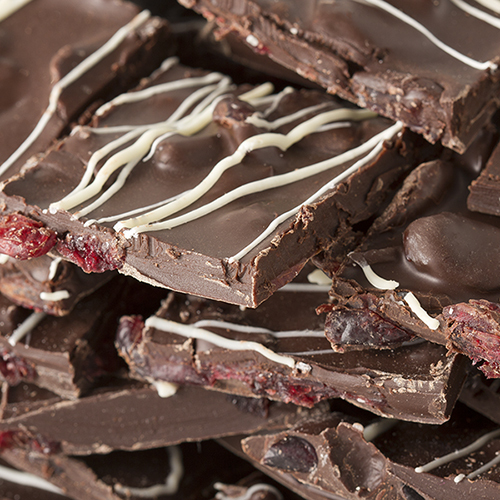 Dried cherries in milk chocolate can get sickly sweet, so this perfectly rich dark chocolate (72%!) is a perfect combination for this juicy and sweet dried fruit. Great bargain for the bag!